Most women fought in wars because they decided to, not because someone let them. The modern armed services can be seen as a concatenation of one law and reg after another to keep women out of combat, where they would otherwise go, until the 21st C unwound this. “The first history”, Herodotus’, includes the record of woman warriors. There is Tomyris of the Massagetae, a horse tribe of the Sea of Grass, who defeated and killed Cyrus the Great (Kurush), and Artemisia I of Halikarnassos, queen regnant and satrap for Xerxes, who was so effectual the Hellenes had a huge bounty on her head even before Salamis. You can f ind a lot of female warleaders, from Æthelflæd of Mercia, daughter of Alfred the Great, to Countess Matilda of Tuscany. (You can find them in, say, Tim Newark’s Woman Warlords) But instead, let’s talk about cultures where women “were allowed combat roles” – cultures where woman warriors were not considered odd. Then we’ll discuss cultures that couldn’t stop the women. Woman warriors were completely normal among the Sarmatians/Scythians/Sakas who left their kurgan burials across the steppes. A large number of skeletons that could be sexed as female by the pelvis were buried with weapons. Normally weapon burials are assumed to be male. In modern days, a number of “assumed male” burials have been reconsidered, notably the Golden Prince. ( Dr. Jeannine Davis-Kimball, “Chieftain or Warrior Priestess?” in Archaeology, Sep/Oct 1997) The female headdress should have been a tip-off, but weapons meant it just couldn’t be a girl! So in this culture one in five provably female burials were warriors, including the one buried with a young male across her feet for a good time in the afterlife. (Sulimirski, The Sarmatians) That these people lived where the classical Greeks said the Amazons did seems a bit beyond coincidence, no matter how the Greeks warped their stories later. Frankish women sometimes led their own warband (scara). A notable one was Perhalta, modernized as Bertha of the Big Foot, mother of Charlemagne. Oh, sure, they always say it’s to increase harborage and improve the port facilities. Never mind the wetlands or the natural flow of the harbors. 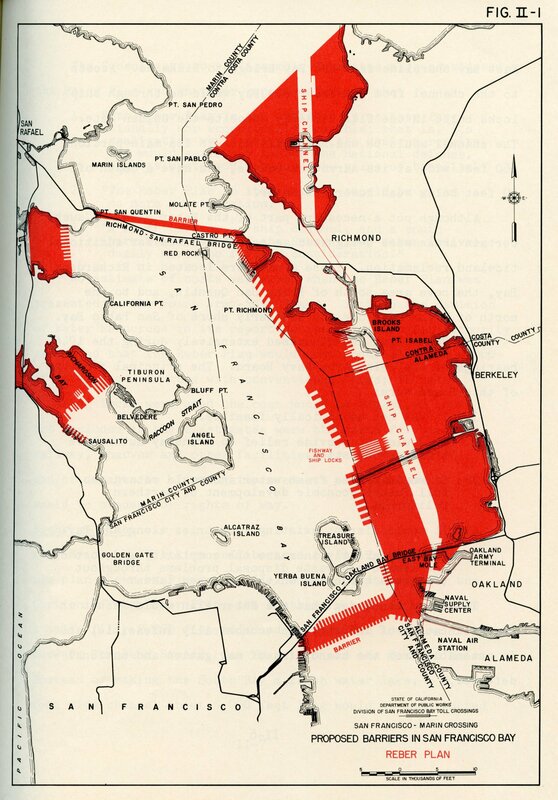 Do any of these old plans to do massive Dutch re-arrangement on American or European harbours look like an *improvement* to you? Especially those who know the areas. I keep seeing pure hubris — “We can rearrange the heavens and the earth, therefore we should, ’cause we’ll feel almighty afterward.” Think of it as the logical extension of the accomplishments of the Suez and Panama Canals, of Hoover Dam, and other titanic works. 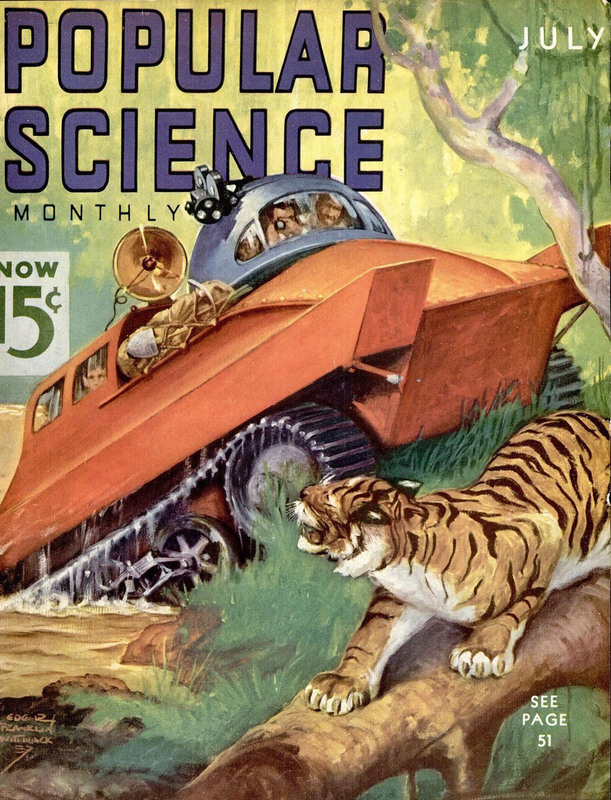 Having read all the 1819-1918 spec fi I could acquire, I have now fallen into a new reading habit: Popular Science Monthly magazine. 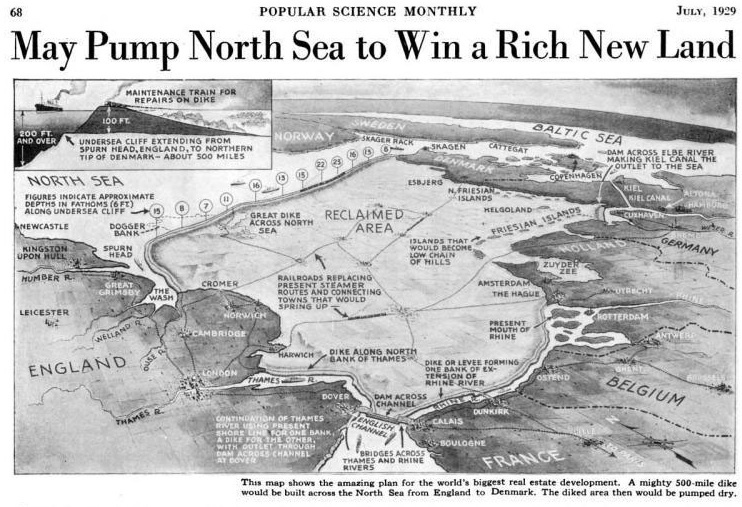 It started by way of random research for 1934 and 1937 projects, especially once the first got rolled back to 1931. Unlike, say, Popular Mechanix, PSM combine everything from articles on the early Rhine ESP studies to building ornate ship models. The covers represent everything from shipyards to air races, but the emphasis is on postulated vehicles — usually on the drawing boards, not often proven to work. But once they make PSM’s cover, they can live on in minds, just as the inventor envisaged them. But what were they thinking to think of this?